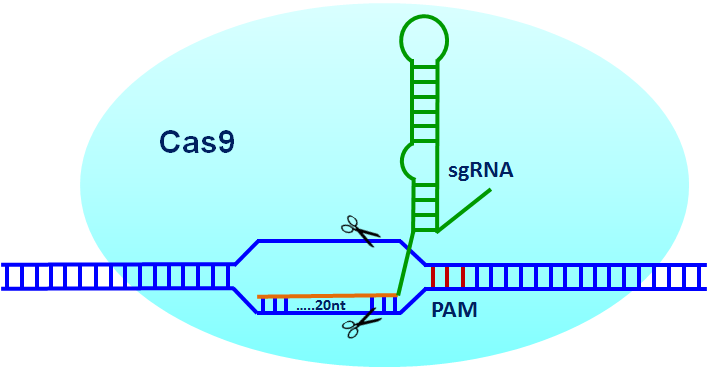 Cas9 (CRISPR associated protein9) is a RNA-guided DNA endonuclease enzyme associated with the CRISPR (Clustered Regularly Interspaced Short Palindromic Repeats) adaptive immunity system in Streptococcus pyogenes.The CRISPR/Cas9 system is the latest RNA-guided, endonuclease tool in genome editing which allows for very specific genomic disruption and replacement. Guided by a target-specific, single guide RNA (sgRNA), the Cas9 nuclease protein serves to unwind the genomic DNA duplex and cleave both strands upon recognition of the target sequence by the sgRNA, resulting in double-stranded breaks. The resulting double-stranded break gets repaired by the non-homologous end joining (NHEJ) pathway, leading to a disruption in the open reading frame of the targeted gene. Recombinant Cas9-NLS comprises the entire Cas9 protein sequence (1368 amino acids) fused to a proprietary nuclear localization sequence (NLS) and a 6 X His tag at the C-terminus. The protein has an apparent molecular weight of 162 kDa on SDS-PAGE. Greater than 97% as determined by SDS-PAGE. 96% of PCR product digestion after 30 minutes at 37°C. 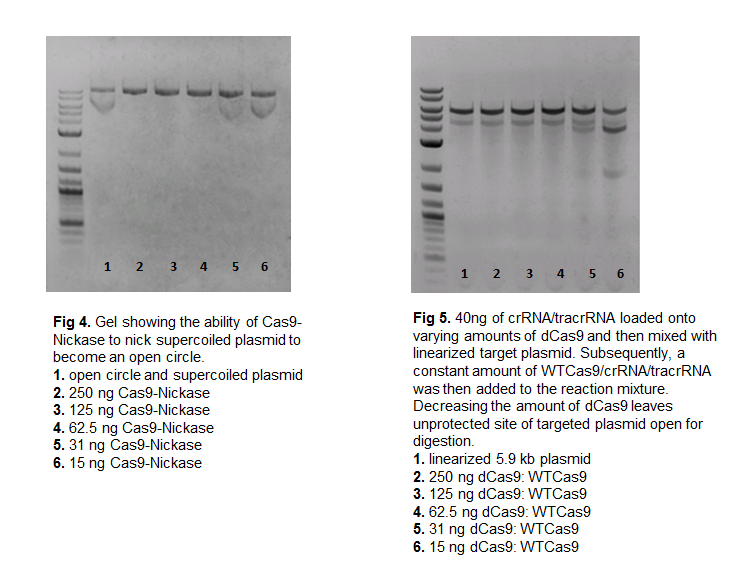 The reaction is performed as follow; 20µl reaction, including 100nM Cas9 protein, 200nM tracrRNA, 200nM EMX1-specific crRNA, 200ng EMX1-specific PCR product and 1x digestion buffer (20mM HEPES, 100mM NaCl and 5mM MgCl2, pH 6.5). Incubate 30 minutes at 37°C, and stop reaction with 1µl RNAse A (1mg/ml). Jinek M, Chylinski K, Fonfara I, Hauer M, Doudna JA, Charpentier E. (2012) A programmable dual-RNA-guided DNA endonuclease in adaptive bacterial immunity. Science. Aug 17;337 (6096):816-21. Mali P, Yang L, Esvelt KM, Aach J, Guell M, DiCarlo JE, Norville JE, Church GM. (2013) RNA-guided human genome engineering via Cas9. Science. Feb 15;339 (6121):823-6.